This class will build upon techniques learned in the random weaving and wicker classes. You are free to create you own unique woven sculpture, and will be encouraged to explore different woven shapes, alongside the traditional basket. Materials on hand will be basket reed and locally sourced natural materials. The focus will be on developing our weaving techniques around our varied materials to create beautiful, organic woven sculptures. Some may be suitable for storage, some may be decorative. All will be their own works of art. 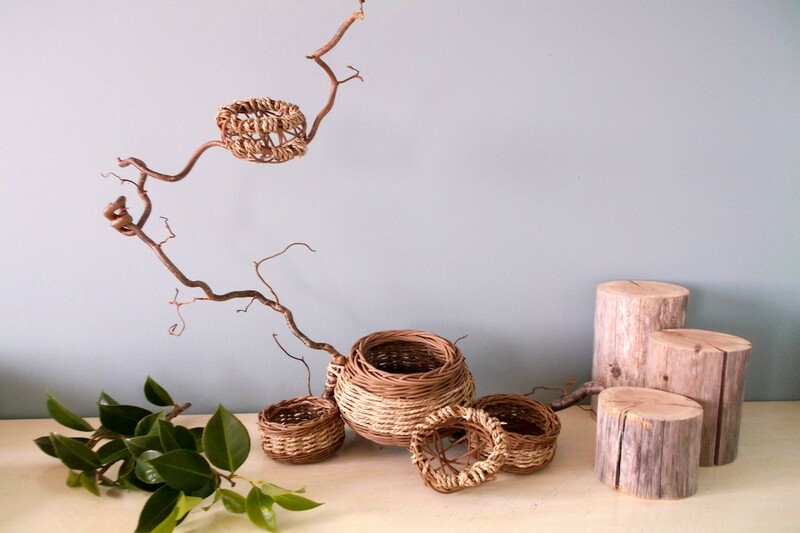 All supplies to create your own beautiful basket as well as use of tools are included – you just need to show up!